You are here: Home » News » As Cooler Weather Moved In Over The Weekend : Some Pretty Pictures! 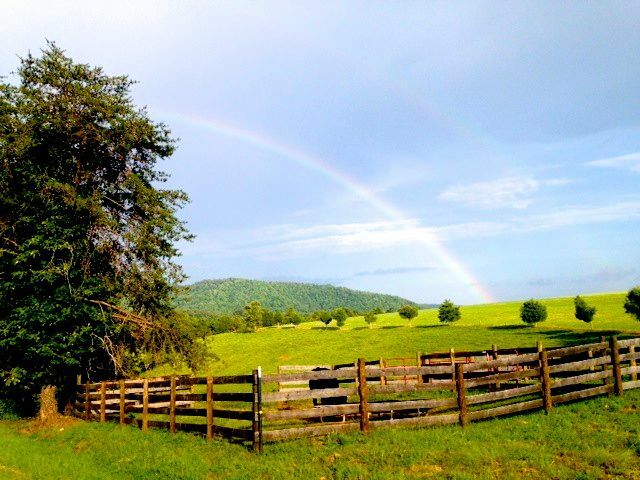 John McKeithen over at Mountain Area Realty grabbed this beautiful photo Saturday afternoon – September 6, 2014 – along Stagebridge Rd in Eastern Nelson County. Showers & storms moved through bringing cooler temps. Much cooler weather has moved into the Blue Ridge and it looks like it will be here for the next several days. Though we will have the chance for several showers in the forecast through the period, we won’t have the chance for those oppressive 90°+ readings anymore! Photo By Ann Strober : Ann grabbed this stunning photo of thunderstorms forming over the Blue Ridge Saturday afternoon – September 6, 2014. The storms ushered in cooler temps with less humidity. Tommy says we’ll be back in the 80’s by mid week but back to the lower 70’s by next weekend for daytime highs!